We are pleased if you use our press releases, news, and pictures for your journalistic or editorial work. We are even more pleased if you quote “North Channel Bank” as a source with a link to our website. If you have any questions, please feel free to call our press contact anytime. 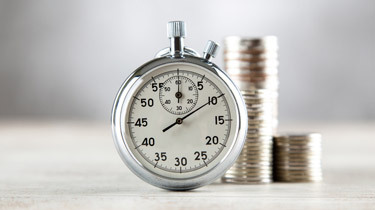 According to a recent test by the consumer finance magazine “Finanztest”, North Channel Bank is one of the 25 best providers of time deposit accounts. “We are delighted to be among the best time deposit providers with our offers. It confirms that we are on the right track,” says Stefan Rensinghoff, Managing Director of North Channel Bank. The time deposit offer of North Channel bank on the platform WeltSparen.de is suitable for depositors, who would like to secure an interest rate over a longer time period. It is a time deposit with a fixed term. It can be started with a minimum deposit of 5,000 Euros (maximum 100,000 Euros) and a term of one year (maximum five years). Interest is credited to the WeltSparen account annually (term year) and at maturity. The deposit is not available during its term. There are no costs incurred for the investor when opening or maintaining the account. Deposits are seucred by the German Banks Compensation Scheme (Entschädigungseinrichtung deutscher Banken EdB). For more information on time deposits please visit: WeltSparen.de (in German). North Channel Bank GmbH & Co. KG was founded in 1924 as the privately owned bank Bankhaus Oswald Kruber, located in Berlin. In 2009, a group of North American investors with expertise in the US Life Settlement sector acquired the bank and renamed it North Channel Bank. In the following years the bank developed into one of the leading institutes in US Life Settlement financing. 2013 with the takeover of its affiliate NorthStar Life Services, LLC, Irvine, California the bank gained direct access to and influence on a reliable, experienced, and renowned service provider. Today, in addition to financing, the bank also offers investments in US Life Settlements. In the structured finance division the bank focuses in particular on financing in the renewable energies sector, (especially equity interim financing), capital goods financing, and acquisition finance.